Yaacov was born in Israel and raised in Detroit, MI, where he attended Jewish day school. Following high school in Israel, Yaacov graduated from the The Rabbinical College of America in Morristown, NJ. He received rabbinical ordination in Ft. Lauderdale, FL. Yaacov spent a year in Singapore, where he directed a Bar/Bat Mitzvah program and a Teen Club. He also ran a Chabad House and Kosher restaurant in Cyprus that provided services to Jewish travelers to the island. Ita Leaf (nee Klar) and her six siblings grew up in neighboring West Orange, NJ. 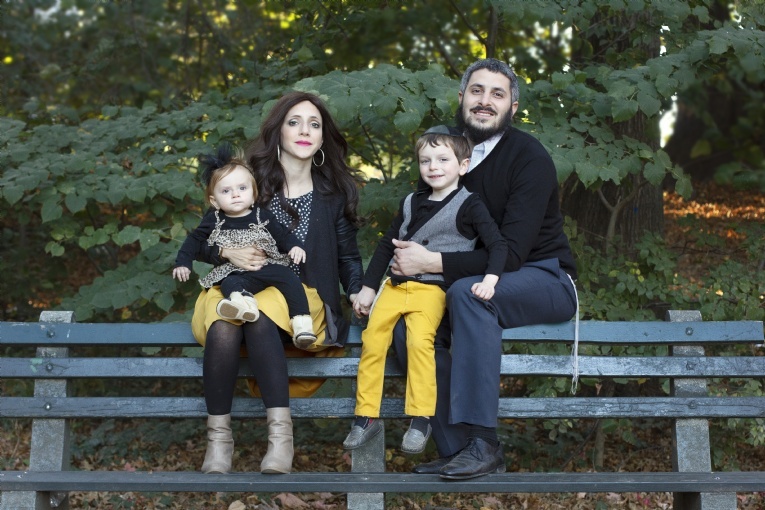 Her parents, Rabbi Boruch and Devorah Klar, have served as the directors of Chabad of Essex County since 1980. Ita attended Jewish day school in Morristown, NJ, high school in Chicago, followed by seminary in Israel, where she graduated with a degree in Judaic studies and childhood education. She has worked extensively with young children and youth in camps and day school. Yaacov and Ita both have a passion for traveling to distant corners of the world and experiencing diverse cultures, from the remote villages of India to the jungles of Africa, and from the swamps of Bolivia to the mountains of Azerbaijan. To date, they have traveled to over 60 countries across the globe. The Leafs are delighted to be settling in the beautiful and diverse town of Montclair, where it has been their dream to establish a Chabad presence. They were inspired by the Lubavitcher Rebbe, whose message was to bring the joy and relevance of Judaism to the world in an open-minded and non-judgmental way. Rabbi Yaacov and Ita Leaf hope to be a positive force of goodness and kindness that will enable fellow Jews to discover the beauty and inspiration that Judaism has to offer.